The Chip Foose Braselton Bash Car Show is a once a year event for the Hot Rodders Children’s Charity and is held at YearOne to benefit the Progeria Research Foundation. Now that is a mouth full, but all you really need to know is that Chip Foose, Courtney Hanson, and Kenny Wayne Shepherd came to YearOne to raise money for a great cause! 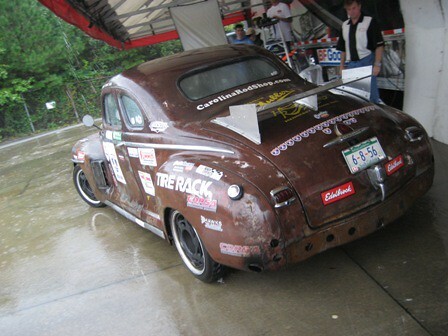 The rain came down hard Saturday during the event, but that did not stop the show cars from showing up to raise money for Progeria. 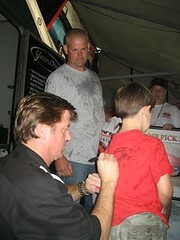 100 of the participants were part of the Chip Foose select group. Select group participants paid extra to have their cars judged by Foose and take a few pictures with him; 100% of the entry fees went to charity. During the photo shoot, Foose and Courtney Hanson personally dried each car before they took a souvenir photo. This was no easy task and by the end of the day, Foose was soaked! Never one to disappoint a crowd, Kenny Wayne Shepherd put on a big show during the burnout exhibition in YearOne’s 1967 Chevelle. Kenny didn’t take it easy on this Chevelle, but then again he is a car guy. On a side note, this Chevelle was used in the 2005 Dukes of Hazard movie. 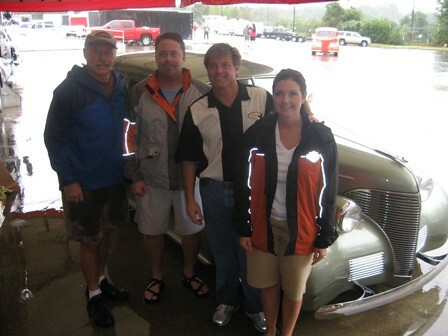 Cindy and Chad Williamson, as chosen by Chip Foose, in their 1939 Chevy Master Deluxe coupe took home the top prize. This elegant coupe hides a blown 383ci small block Chevy under the hood. The body is all steel and topped with a custom mix coat of what can be described as light moss green pearl metallic. While the interior has modern onveniences , the feel is all 1930’s. The interior is boxed in with lightly tinted safety green window glass to complement the paint. Being chopped 2 ½” with suicide doors and smoothed steel running boards, this car masterfully mixes timeless style with modern rod styling cues and surely deserved the award .